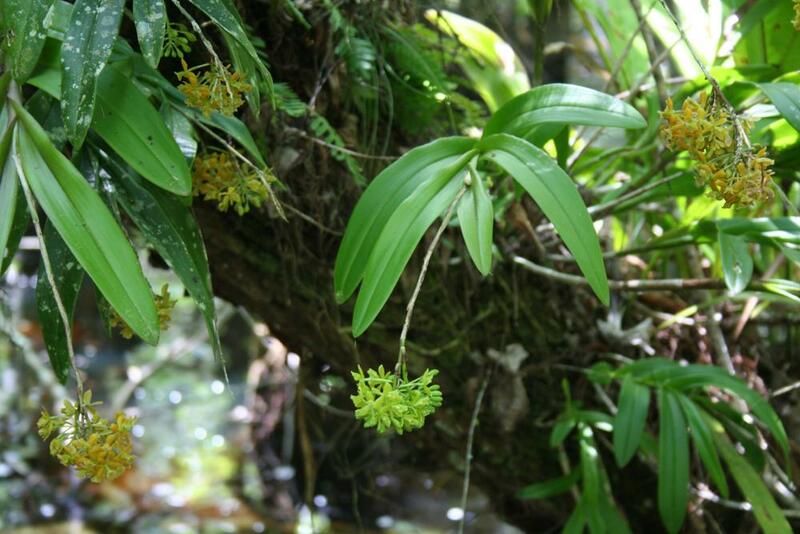 Epidendrum amphistomum, the Dingy Flowered Star Orchid, is distributed in the West Indies, Central America, northern South America and Florida. 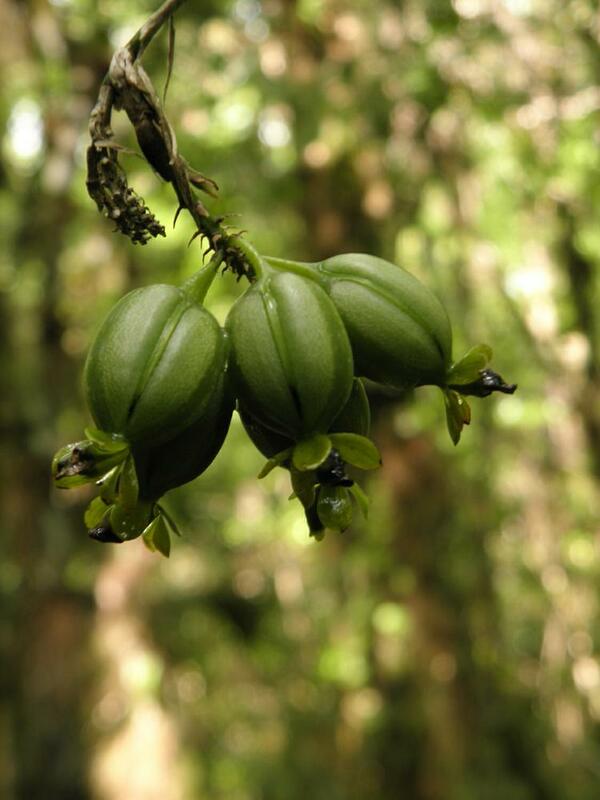 This orchid has 5-13 elliptic leaves that alternate on the stem. 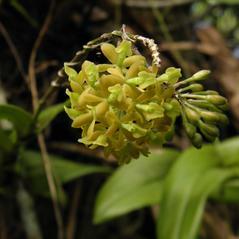 The flowering period is January to July but flowers may develop at any other time of year. 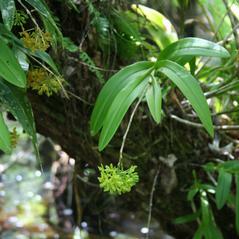 It produces up to 25 green to brownish flowers on a compact terminal raceme. 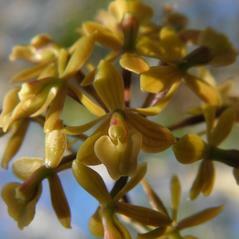 Flowers produce a fragrance reminiscent of overly ripe vegetables, heaviest between late afternoon and dawn. 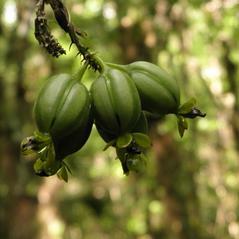 The labellum has a distinct central ridge. 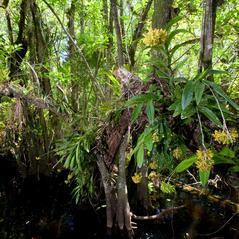 In south Florida, this orchid grows in swamps and hammocks, often in disturbed habitats that no longer support other orchids. 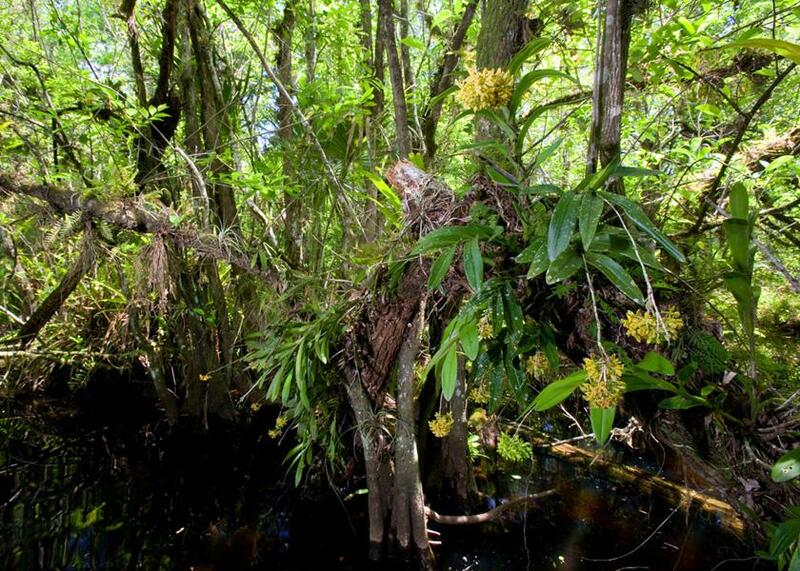 Epidendrum amphistomum is considered endangered in Florida although its conservation status has not been determined across its entire range. 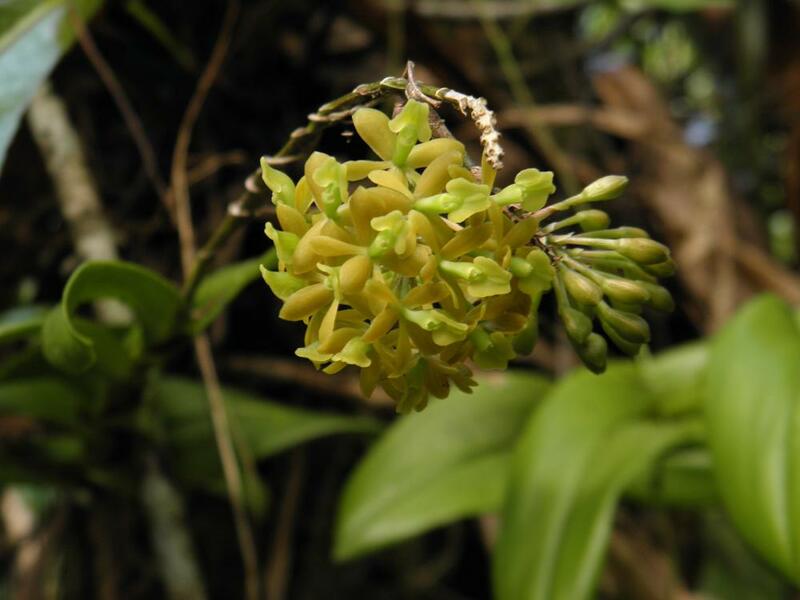 This orchid is pollinated by nocturnal male moths including Cisseps fulvicollis, Lymire edwardsii, Nelphe carolina and Oxydia vesulia. 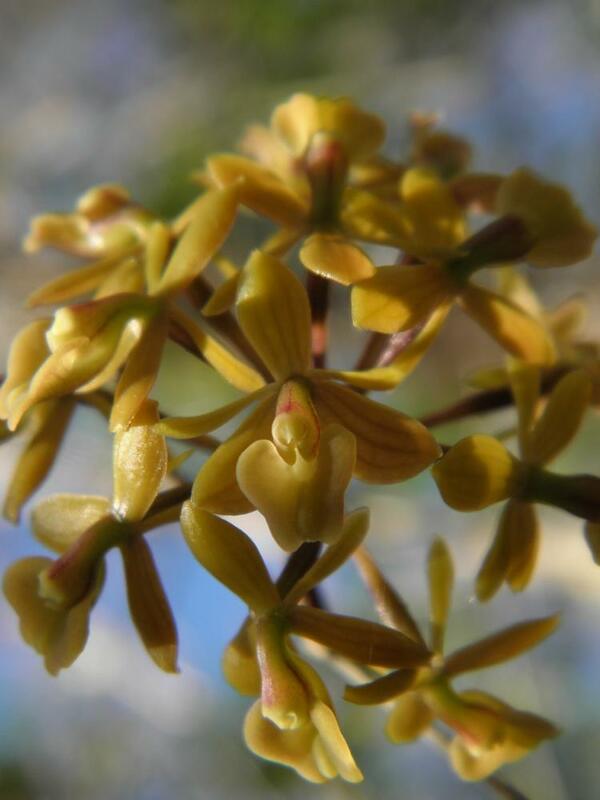 Although this orchid does produce nectar, moths may be initially attracted to these flowers between late afternoon and dawn by their strong fragrance similar to very ripe vegetables.